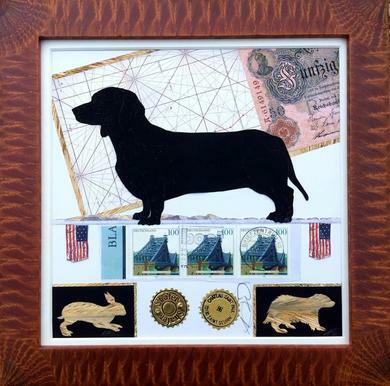 Dachshund hand cut from Silhouette paper juxtaposed with German money, map, real German stamps, a wime seal and hollow cut rabbit and which they hunt. Archival materials & glues used. Frame is hand made in Ohio.